While the keyboards on smartphones have been getting better and better, it’s still pretty common for people to make spelling and punctuation mistakes. Whether you have simply adopted a typing style that forgoes certain grammatical structure, or your fingers often hit the wrong buttons, it’s pretty common for messages typed on an iPhone to contain some mistakes. One feature that can help make typing a little more efficient is called Smart Punctuation, and it can automatically add certain types of punctuation. But this may conflict with your typing habits, and you might prefer to disable this setting. Our tutorial below will show you where to find and disable it. The steps in this article were performed on an iPhone 7 Plus in iOS 11.2.2. 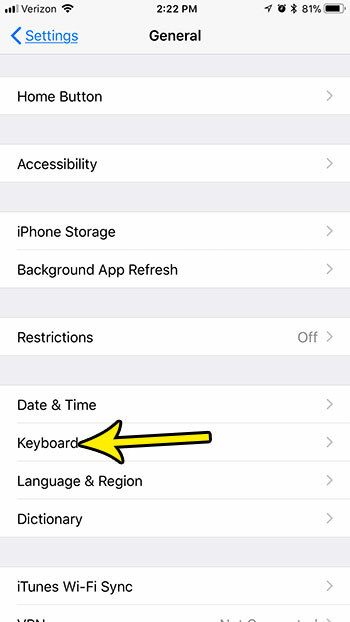 By following this guide and completing these steps you will be turning off a setting for the default iPhone keyboard that causes it to add punctuation automatically when it thinks that it should. 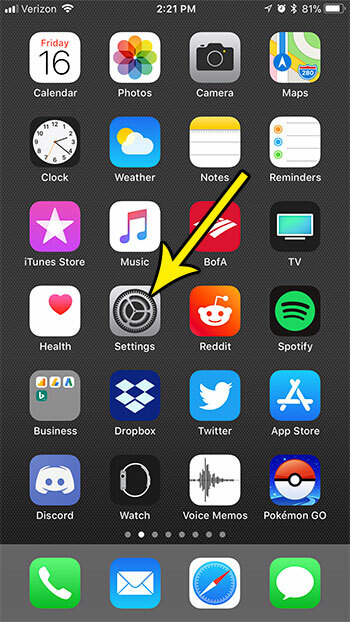 If you find later that you relied on this feature without realizing it, you can always turn it back on by following these same steps. Step 3: Choose the Keyboard option. 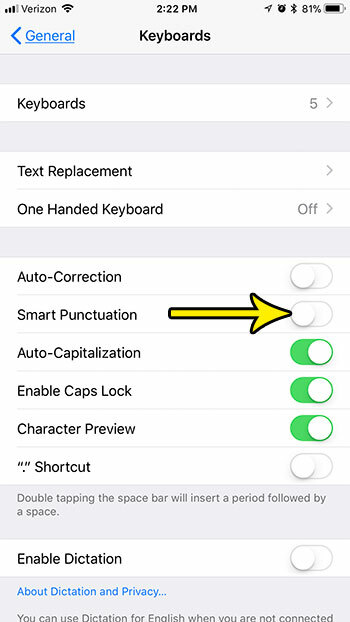 Step 4: Tap the button to the right of Smart Punctuation to turn it off. The setting is disabled when there is no green shading around the button. I have turned off smart punctuation in the picture below. Is you iPhone low on space, which is preventing you from downloading more files, or installing new apps? 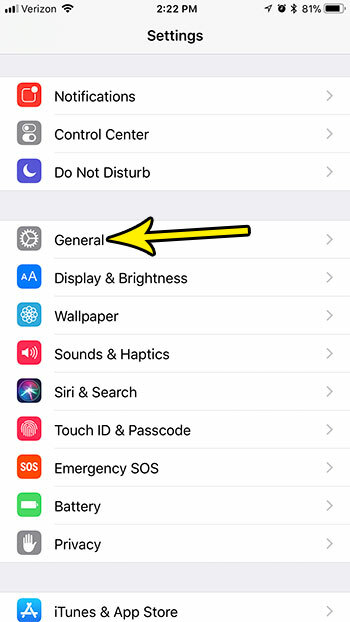 Read our guide to iPhone storage optimization for some tips on places where you can find old apps and files that are taking up space that they don’t need to be using.